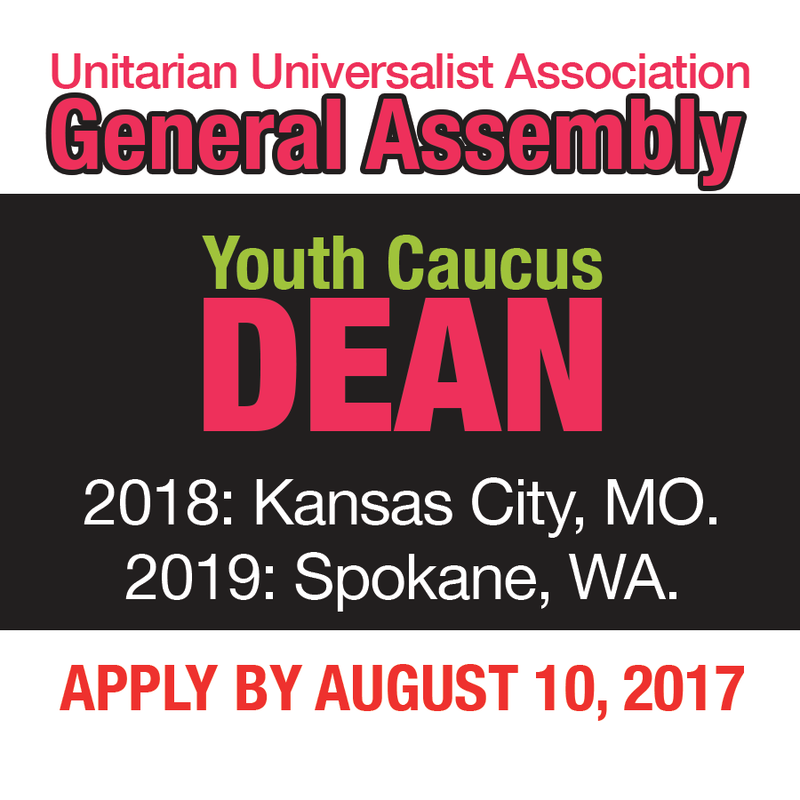 The Unitarian Universalist Church of Davis has a long-standing campus ministry, supported by a Senior Minister, a yearly intern and a Campus Committee from the congregation. 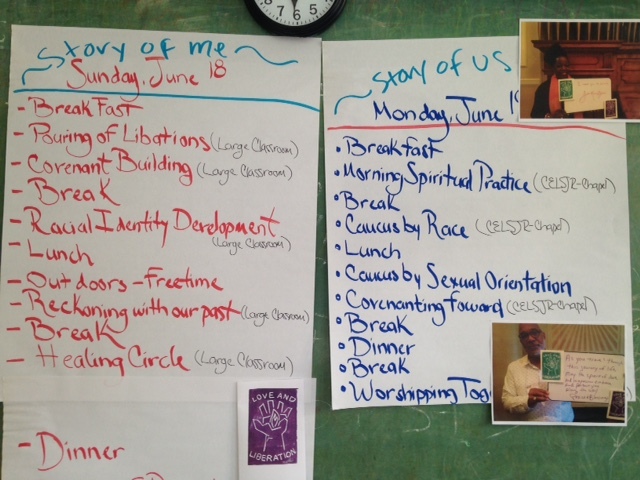 Recently we’ve been asking what it would look like if we did more than provide a home-cooked meal, a facilitated discussion, activities, and pastoral care for students exploring Unitarian Universalist. This year we found out what that could mean. What has emerged is a very different campus ministry than anything we’ve done before. At the close of the trip all participants were asked to engage with immigration issues in our home communities. What could the UUCSJ participants do at home to make a difference? There was an opportunity just a short bike ride from the UU Church of Davis. 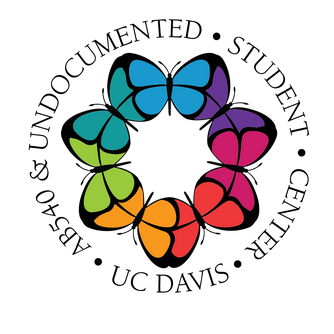 In November of 2014 the first Undocumented Student Center in the country opened at University of California Davis (UC Davis) campus. When she returned from the UUCSJ trip, Beth connected with Andrea Gaytan, the Executive Director of the Center. Everyone was exploring what programs could be offered by a Center that openly supported undocumented people and their families. In 2014 there were about 260 known undocumented students at UC Davis, and the number increased every year. In 2017, there are approximately 500 people who have identified as either DACA protected or attend school without the benefit of DACA. It took a couple of years for Beth and Andrea to discover how the university and the church could work together to benefit the students. In 2016, anti-immigrant rhetoric ramped up in our country. How to live our UU values on campus became clearer. Andrea put Beth in contact with SPEAK, the student campus organization that supports UC Davis undocumented students and their allies. Working with SPEAK put us in direct contact with those who needed support beyond what the Center could offer. We asked, “How can we best help you?” SPEAK students discussed their needs and asked for scholarship money to fund emergencies for undocumented students who have so little means of support. The funds could help students keep an apartment, pay for medical expenses, purchase books, or pay for tuition. A small group of church volunteers created a Faithify crowdsourcing campaign, and the students set the goal of $5,000. Our campaign unintentionally provided a bitter-sweet distraction for SPEAK students. The Faithify launch date spanned finals week and the students clicked on the site continuously to watch the number of donations increase. We surpassed the goal and raised over $7,000 and the students wept, because suddenly they had almost three times their normal emergency funds for students in need. They also wept because they read the first names of the donors and realized that there were many people they didn’t know who supported them. It wasn’t just the amount that was raised, but the number of donors that moved the students. Interest at the church in working with SPEAK increased. Every time someone showed interest we directed them to the UndocuAlly training offered by the Undocumented Student Center that explained the vulnerability of the students and what resources were available to them. There are currently 20 people from the congregation who are trained, with more people waiting for the next session. We consider all of these volunteers a part of our campus ministry outreach. Every Campus Intern will be trained early in their internship. Working with SPEAK is now as much a part of the internship as serving the students who are exploring their Unitarian Universalist values. And there’s more. Something amazing happens when we quietly offer ourselves to the SPEAK students. 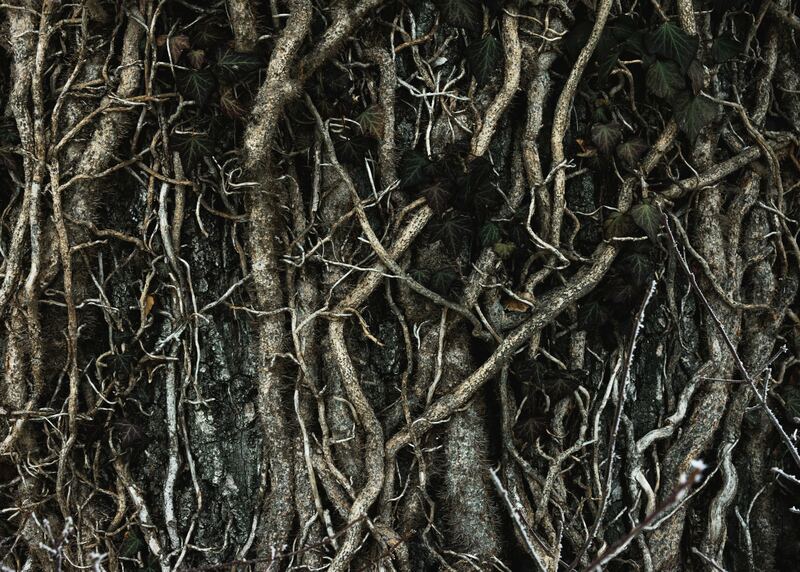 The bridge of trust grows, and the students imagine a new ways for us to help them. Every time we offer some form of assistance, we grow a stronger sense of purpose and what it means to live our Unitarian Universalist values. We were invited to support their yearly retreat where they share their Odysseys and inspire each other by giving witness to each other’s courage and vision. We deliver hearty snacks to the Center during finals, with notes of encouragement for both the students and the Executive Director. The church offers space for their year-end banquet where they honor those who will graduate. And, yes, we have begun having small gatherings where we meet each other socially. Some students miss their home communities and long for safe connections beyond the campus. We are not privy to who is an ally and who is undocumented. It is very rare for acquaintances or even friends to be trusted with information that could possibly be shared inappropriately. 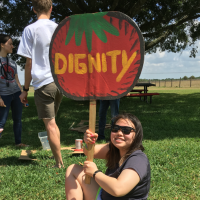 Supporting the UU students’ group continues to be important for us as a congregation, but we’ve discovered that there can be a new dimension in campus ministry. Now we are at UC Davis as learners, allies, and we’re learning to become more effective partners in justice-making. Just like when we develop any relationship, we don’t know the outcome of our companionship with SPEAK. 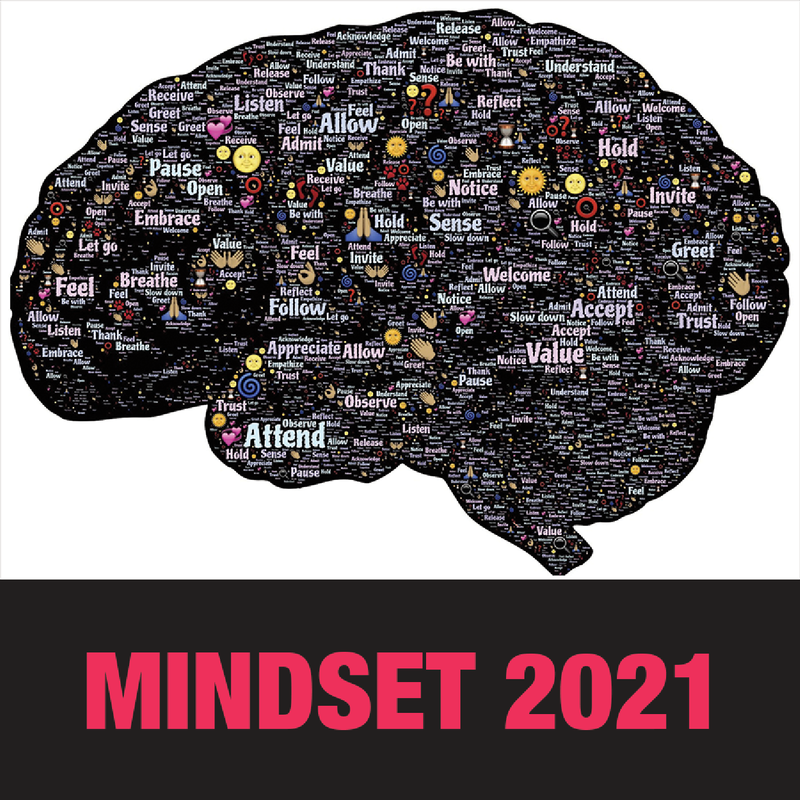 But as we enter our second year working directly with the students, we have asked again, “What is it that you need?”. They have started to imagine, and give us more ideas. Now there’s something new. Every time we visit the Undocumented Student Center, the lgbtqia Center is housed in the same building. 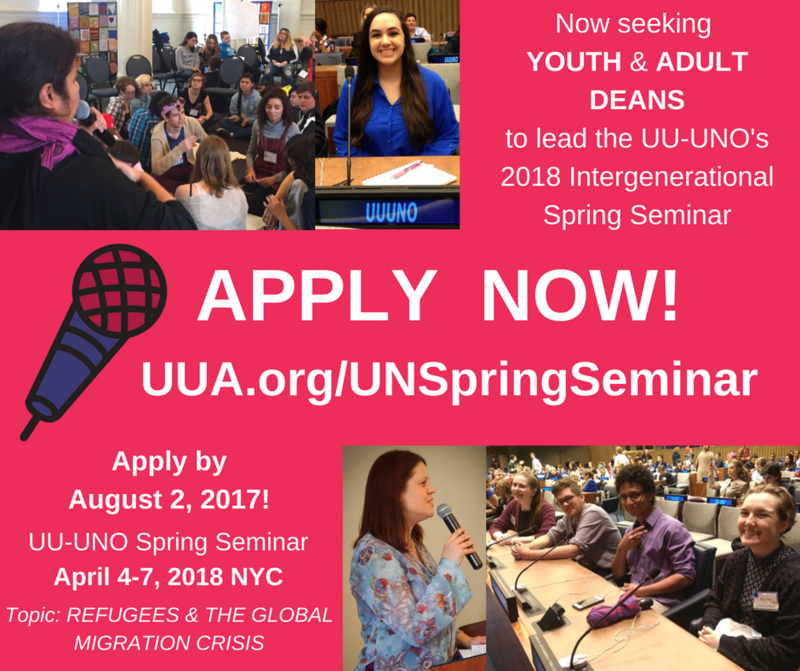 Yes, our Intern from 2016-2017, Elizabeth Assenza and a member of the Campus Committee, Kyria Boundy-Mills, made an appointment with their Executive Director and asked, “Can we come to know each other and is there a way we can offer support?” And yet another conversation has begun, and our Campus Ministry has become a bridge builder beyond what we imagined.